An IT organization needs technical tools to deliver stable and secure IT to support the activities within the public sector. In a modern IT organization, efficient collaboration between different stakeholders is essential to meet the demands put on the IT delivery. The challenge is that access to information often is dependent on key people and that knowledge get stuck in parts of the organization. The vScope platform offers a holistic perspective of the IT that can not be achieved through other technically oriented tools. It is a platform for sharing IT information and collaboration between many different stakeholders such as technicians, architects, project managers, IT Managers amongst some. By using vScope, public organizations can automate large parts of the documentation, analysis and reporting routines, increase transparency and decrease the dependency on key people. Everything with the goal to assist you in improving the quality of your IT delivery. vScope is a platform for smart inventory that offers a common view for documentation, reporting and analysis of your entire IT infrastructure. By using vScope, public sector organizations can get better insights and a better understanding of their IT environment to be able to better meet demands concerning efficiency, security and costs. The result is increased transparency, decreased dependencies on key people, more efficient processes and in the end a better IT delivery. vScope makes reporting simple and is designed to ease distribution of information to colleagues and external parties. Create tailor-made views where you quickly get an understanding of applications, SLAs, configurations, security, GDPR, project progression and much more. vScope offers a shared platform for the entire organization where valuable information about your IT can be collected, visualized and shared. This increases access to information and makes you less dependent on specific key people. Everyone in need of up-to-date documentation, reports and analysis can easily find this in vScope. vScope gives you a holistic view of the entire IT, no matter if you work close to the technology or have a more overarching responsibility of the IT delivery. Use vScope for your billing processes and become more productive by automating manual routines related to collecting and updating documentation. Create tailor-made views of price lists, packaged solutions, add-on services and let vScope automatically categorize resources for your different accounts. With the assistance of built-in analyses, vScope can guide your IT organization to identify unused resources, misconfigurations and general improvements to find cost savings and ways to increase your operational efficiency. With vScope’s API, you can use the data generated by vScope in other systems such as help/service desk systems, BI software or billing systems. This enables you to automate your processes and thereby improve work flows and make the organization more efficient and more productive. vScope is relevant in several use cases and by people close to both the technology and operations. How can I use vScope? Get an overview of your entire environment in one single view without having knowledge about the underlying technology. 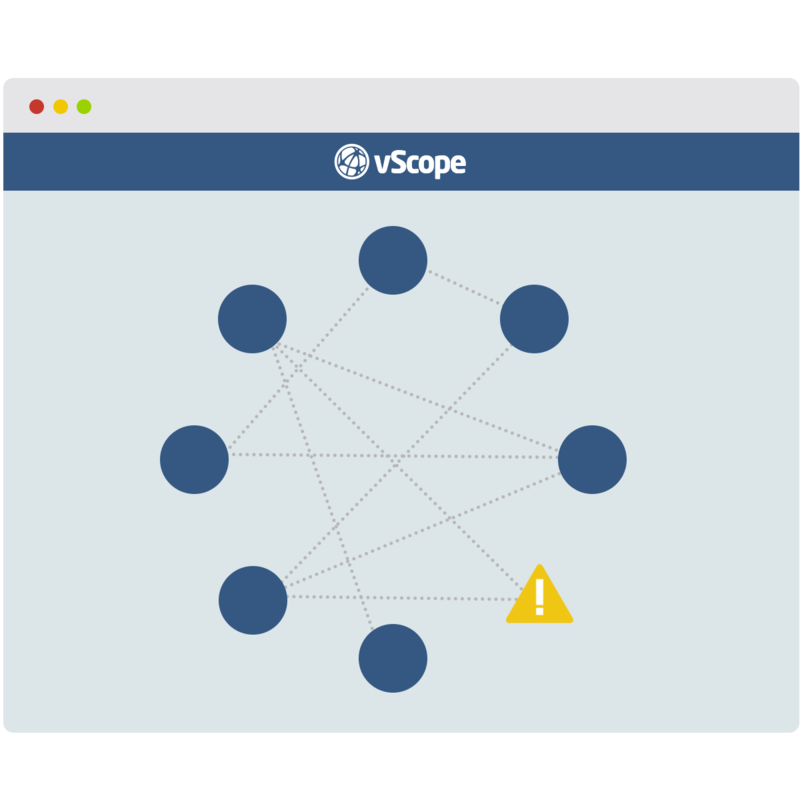 vScope handles discovery, correlation and visualization of information automatically, which enables you to quickly get an understanding of what your IT really looks like. vScope automatically collects the dynamic values such as CPU, backup, RAM and disc to form the basis for internal billing. 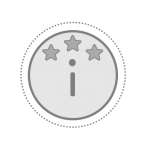 Distribute reports and documentation for billing to both internal and external parties. Always stay informed about the latest in your IT. Let vScope notify you when something changes or if limits are exceeded. Get a full overview of your service, from physical hosts, servers, databases, applications and services in one single view and secure a high quality delivery. Bundled with built-in analysis, vScope gives you insights to take proactive and pre-emptive measures to avoid down time and increase security. 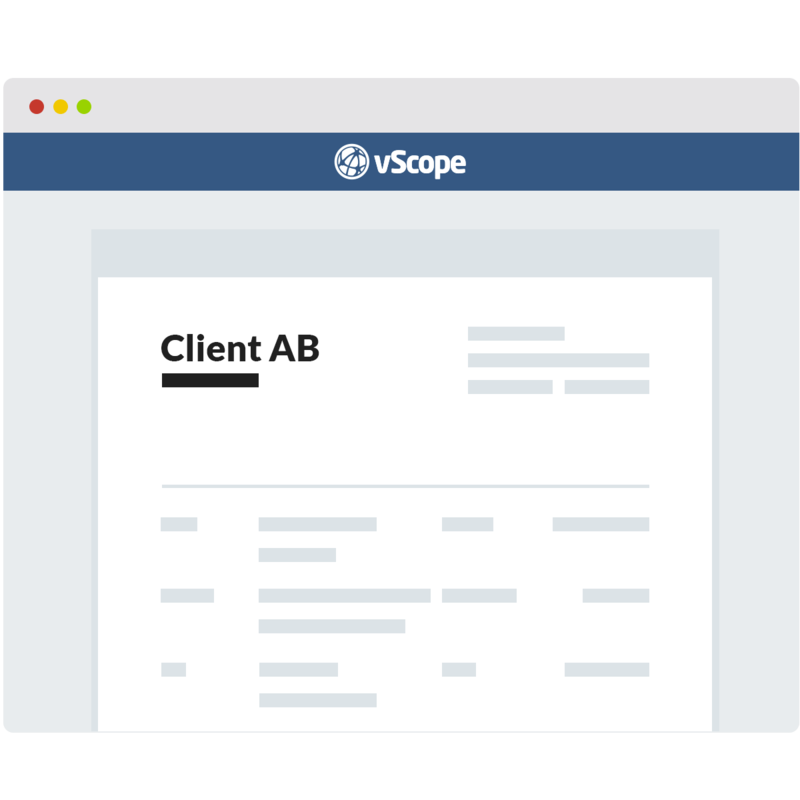 Let vScope automatically update the documentation of your service. Historic traceability gives you full control of all changes in your environment. vScope allows you to easily create reports that you can share with your colleagues and create a common starting-point for meetings, discussions and projects. You easily find updated information about your environment in vScope and you will quickly get an understanding for potential optimizations and hidden misconfigurations. 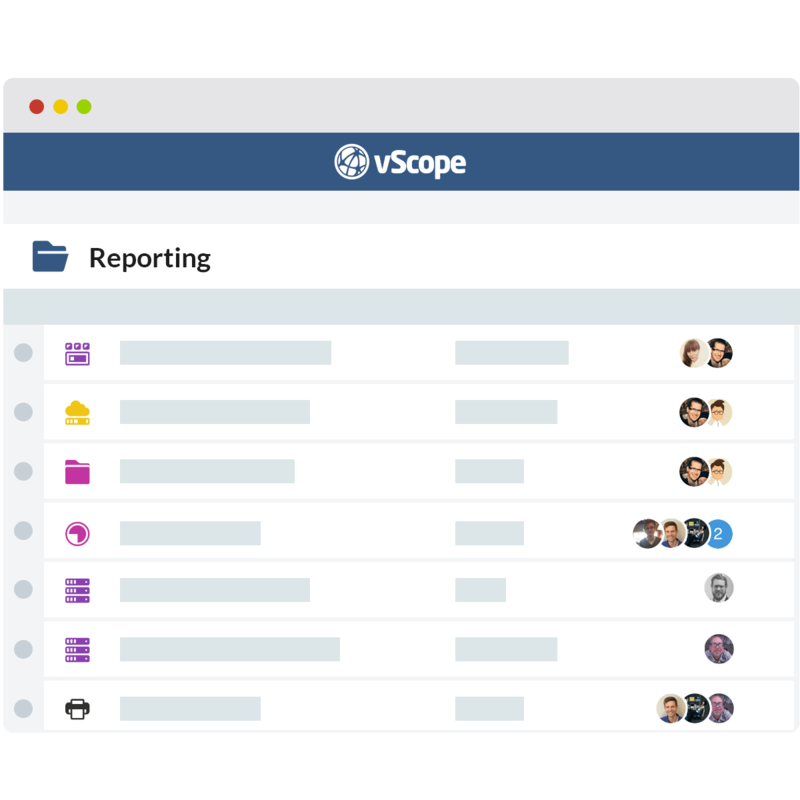 vScope allows you to easily create reports that you can share with your colleagues. The reports are automatically updated and let’s you spend more time on more important matters. 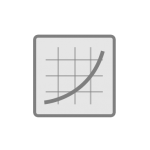 Make use of vScope’s structured and correlated data in your existing systems. vScope supports most technological platforms in a datacenter. VMware, Hyper-V, HTTP, WMI, WinRM, MSSQL, SSH, SMI-S, SNMP, Oracle, LDAP are some examples of protocols being used for inventory. vScope will first inventory assets and then automatically correlate the information from all these platforms in order to provide you with a comprehensive map of your infrastructure. Can vScope inventory files and folders? vScope offers a complete overview of the IT spanning from physical hosts, VMs, OS, databases, user accounts, network, web certificates and file shares. It does not inventory on a lower level than file shares. How can I share reports? 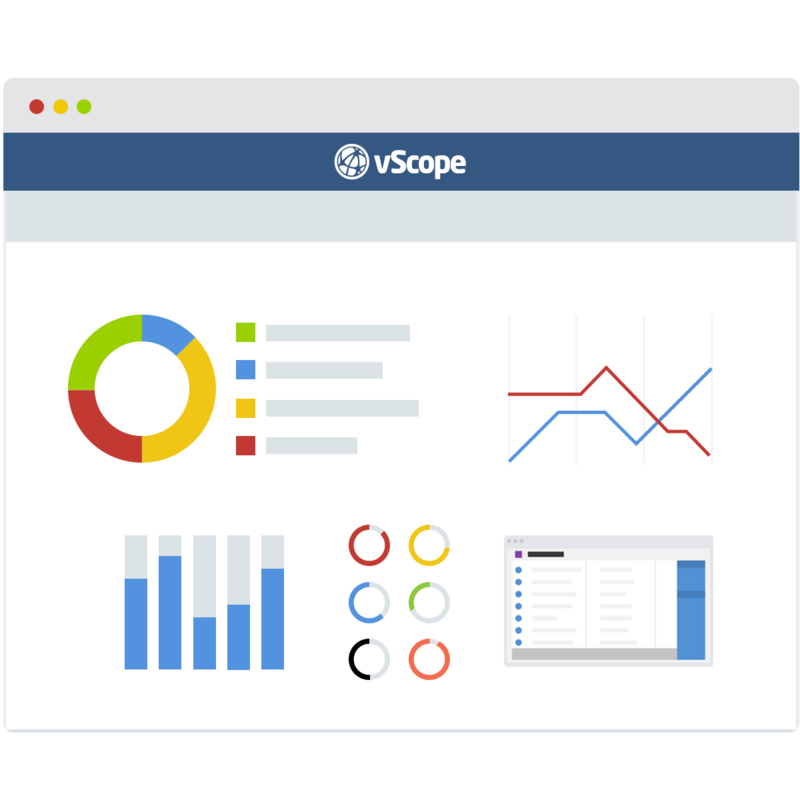 vScope’s reporting features allows you to not only build customizedreports with accurate data. You may also distribute reports by email, XLXS/CSV or directly in vScope. With access control of your reports you are able to invite external parties to view (only) reports about eg. GDPR. 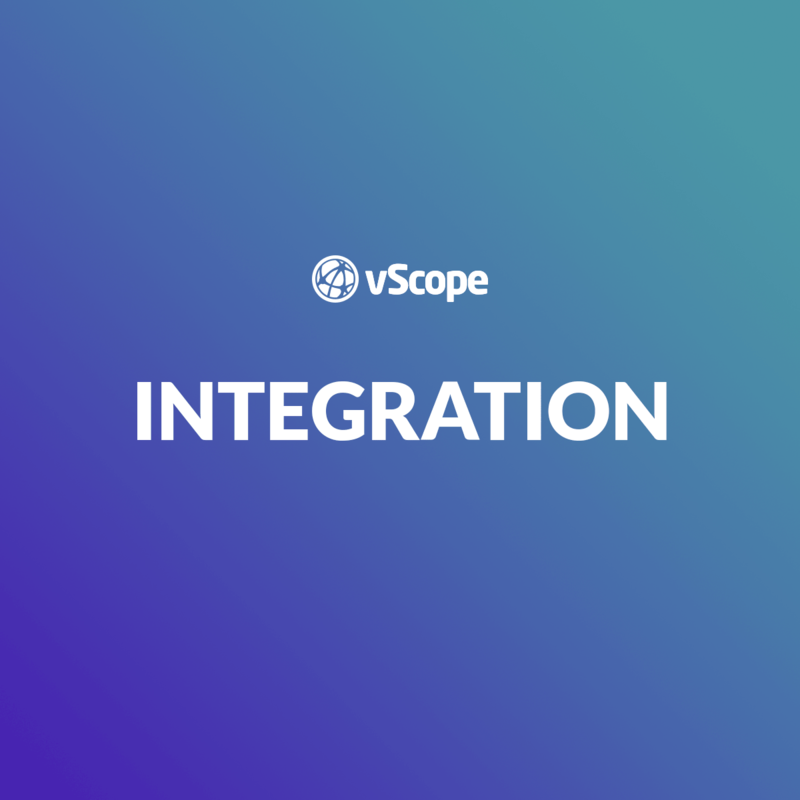 Integrating vScope with your Active Directory will allow all users to reuse their existing login. We at InfraSight Labs will gladly help you get started. We do this through an assisted trial where our product experts help you customize vScope, and train you based on your needs. Read more about this and other trial offers here. You may also contact any of our regional partners. 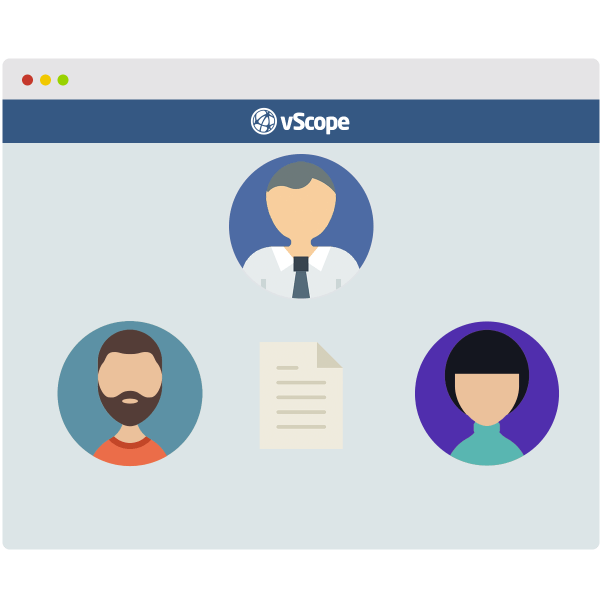 Do you want to know more about what vScope can do for your organization? Contact us for a demo or if you have any questions.